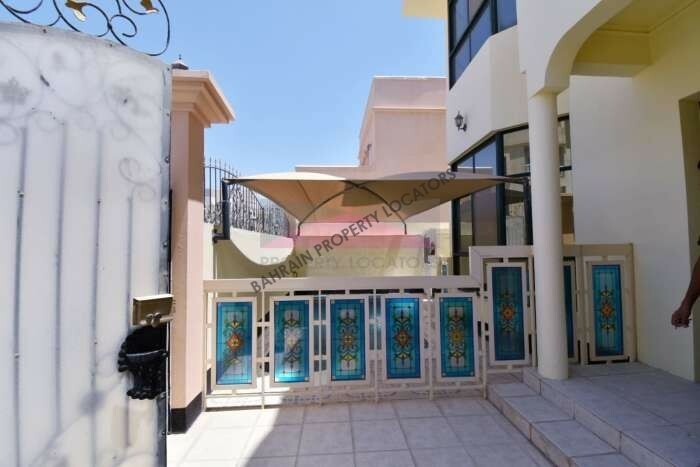 A LOVELY HOME TO BE PROUD OF IN JUFFAIR! Set in a central location, just a walking distance to the US Naval base, this lovely 5 bedroom residence is the perfect home for those seeking a tranquil and peaceful lifestyle . The property comprises a spacious living and dining area with floor-to-ceiling windows that provide an abundance of natural light. An open-plan with breakfast island, extensive cupboard space and integrated appliances. 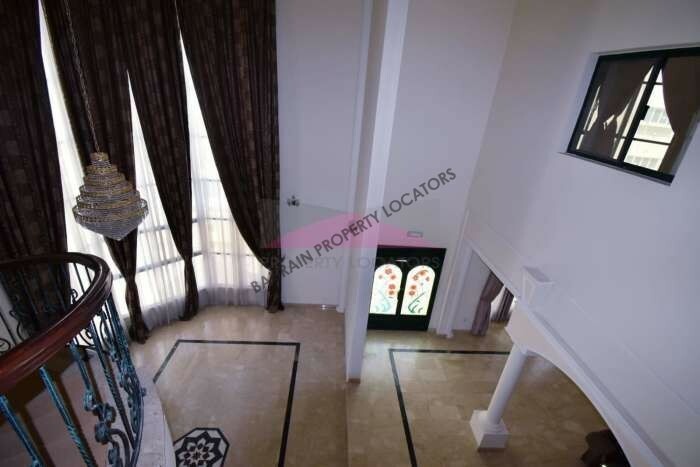 On the First level there 4 bedrooms all en-suite and a balcony overlooking the city + an extra living room. On the 2nd level there is maids room and a fully equipped laundry room with a separate American washer & dryer. Double garage with remote-controlled doors, 24-hour maintenance and security. Big size swimming pool shared with 2 other villas and a gym. 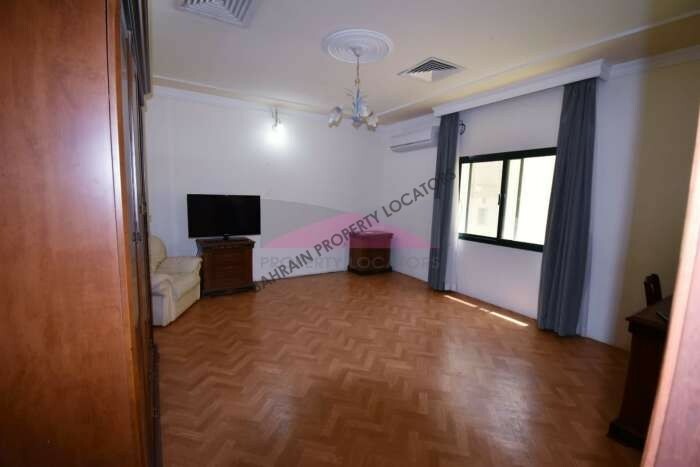 With easy access to the highway and in close proximity to shops, restaurants and cafes, this feature-packed home is a must see. 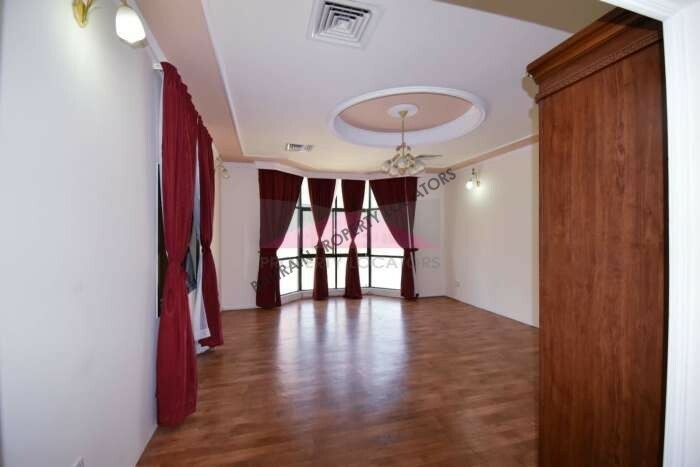 Hi, I found your property with ref:EM/330 on bahrainpropertylocators.com. Please contact me. Thank you.